In this report, let's touch upon the touring capability of the Compass. 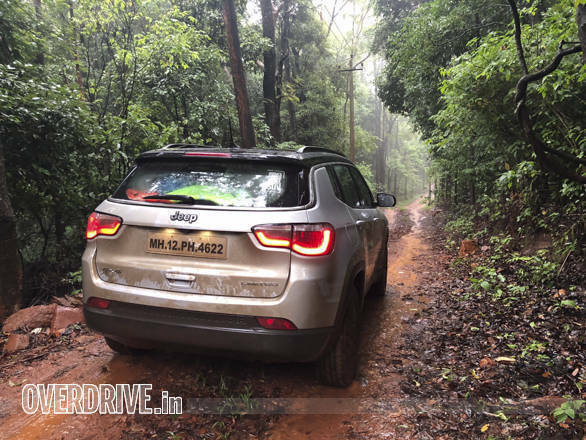 As you may be aware, we conducted a mega SUV test in Chikmagalur a couple of months back, and our Compass happened to be one of the cars that was used to ferry a part of the team and the equipment from Mumbai to Chikmagalur. Visually, the boot doesn't look like it can swallow a week's worth of luggage for five, but it did and then some, without needing to stack anything on the parcel shelf. The seating was a bit of a squeeze for three in back, but swapping one of the larger adults for a shorter one did the trick. This was the first time the car was filled to the brim with people and cargo, and the results were quite impressive. 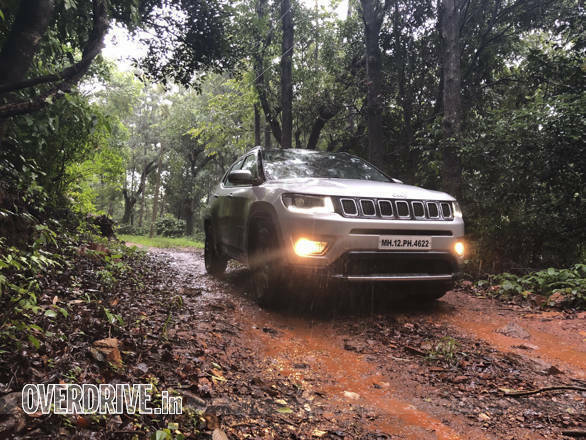 The highway to Chikmagalur has plenty of undulations that can unsettle the best of cars and I can tell you that because I drove the highway in one of the most premium SUVs out there and I felt the suspension bottoming out on many occasions. The Compass was surprisingly more composed in comparison. The Compass also handled the twisties pretty well, though it did feel a bit understeery with all the weight it was carrying. As expected, the weight also increased the braking distance by a bit, and it was just a matter of getting used to. What is notable is that our car has clocked over 15,000km now, and yet, the brake pads have still not worn out despite multiple road trips and spirited driving. In comparison, another SUV from the same segment necessitated a brake pad change at about 10,000km when it was in the OD Garage. Our journey included a fair bit of night driving too and frankly, we weren't too impressed with the throw of the headlights. While the spread and luminance was fine, we just could see far enough despite adjusting the beam to all the levels provided. So if you are going to be road tripping often with a Compass, a pair of auxiliary lights would be a good investment. We are very impressed with the stock tyres too. Not only are they silent around the twisties even with a full load, they are also very grippy on the concrete roads and the rocky trails. 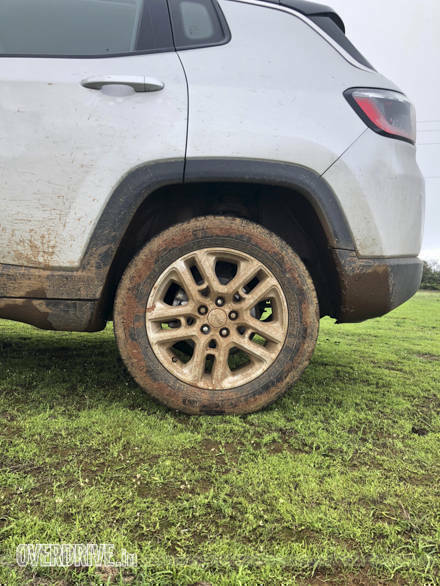 They didn't encounter any punctures around the trails even when lugging all the weight and managed to complement the Compass's quick timing run at the aforementioned slush-fest.